In recognition of Sexual Assault Awareness Month. Sexual Assault Awareness Month is an annual campaign to raise awareness about sexual assault and to educate communities and individuals about how to prevent sexual violence. 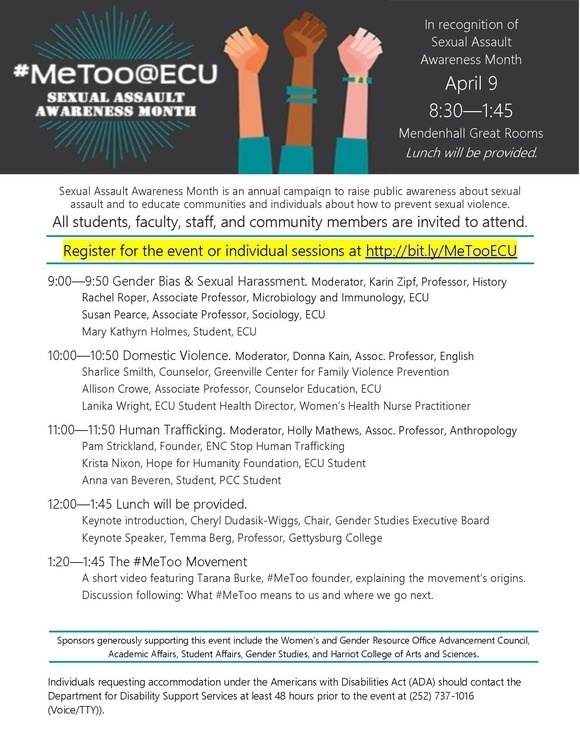 The event includes three panels and a lunch keynote--come to all or individual sessions. All students, faculty, staff, and community members are invited to attend.